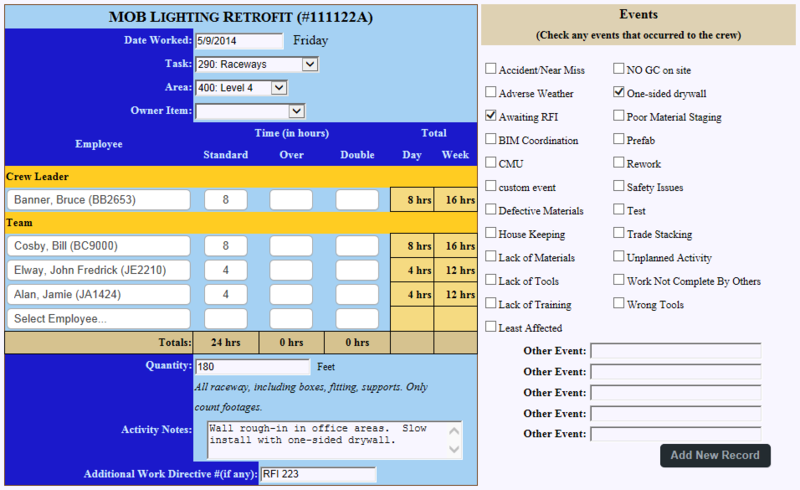 crewHD collects data in a way that is different and much easier than typical contruction software. Work on a construction project is typically installed by a crews (not one worker) working on individual tasks. Why do we ask each employee to fill out an individual time card when that can cause several issues like charging time to incorrect cost codes, doubling up on quantities installed, and more? 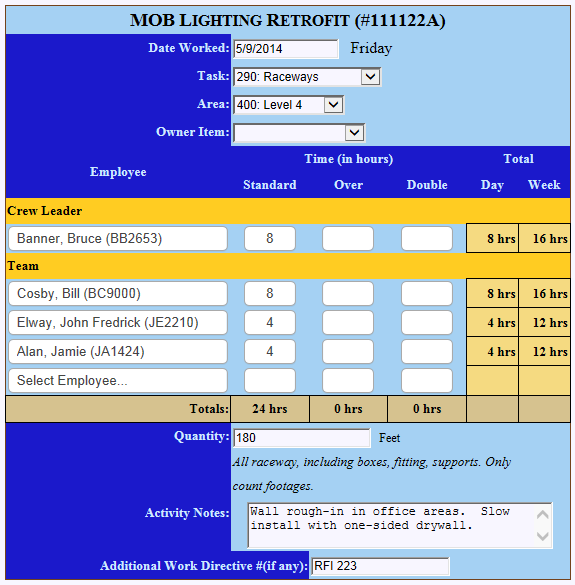 Use crewHD and you won't have to worry about remembering what cost code to use for installing conduit (as an example) because crew leaders just select what their crew worked on and where they worked from simple drop-down menus. crewHD completes all of these tasks while only requiring 2-1/2 minutes per crew. Compare that to the time currently wasted completing these tasks! Your crews will love it and learn quickly; in fact, 90% of current users were not trained, and picked it up just by logging in. Watch the video to see how easy it is for crews to fill out an Activity Card (and the only thing they need to know how to do).